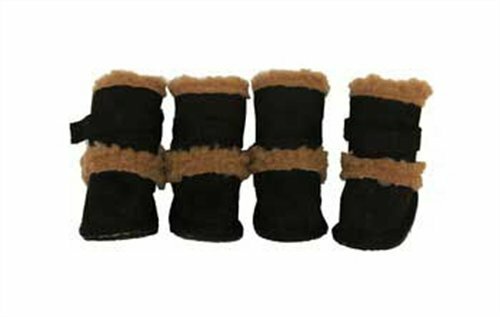 Pet Life Shearling Duggz Shoes (features 3M Thinsulate): Black/Brown, Large by Pet Life at People For Pets. MPN: DPF08345. Hurry! Limited time offer. Offer valid only while supplies last.